Clyde’s so fly, he’s about to take flight – stylin and profilin on opening night! The Living Legend is off to an auspicious start! Clyde had 14 new suits made for this season. 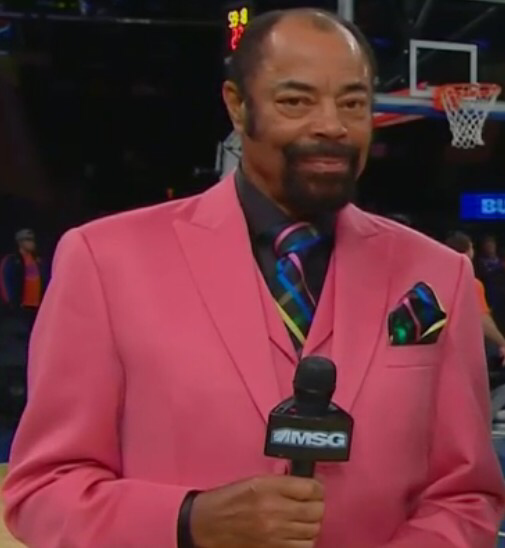 This light pink suit is one of the new addition to Clyde’s legendary closet. Bonus points for the fly pink Puma sneakers!